WEDNESDAY POST ~ Well life has a way of interfering with creativity. You know those chores 'wives and husbands' do. Well I have neither; nor do I have a maid, butler, or otherwise. So my energy is lagging behind my mind ~ So if you find it somewhere would you kindly let me know or send it back to Cape Ann MA. 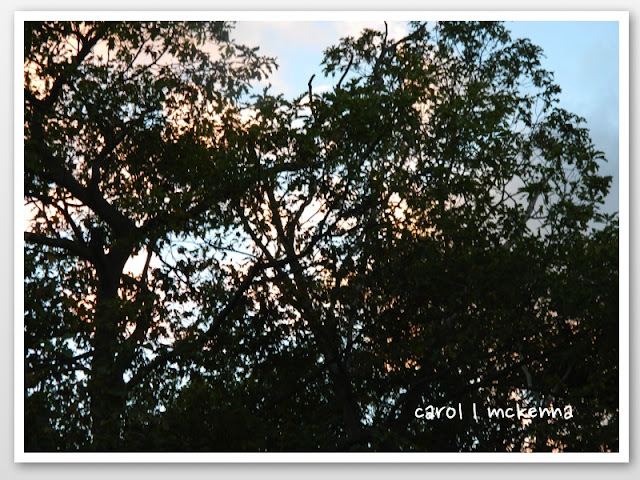 Hope you enjoy the photos of 'night' and sunset at night amongst the trees and the haiku. Do hope you also check out the above blogs that are all very creative. Wishing you a wonderful energizing, yet peaceful week. Your double moon is amazing.....is that a trick or a moon shadow? If you find any extra energy, send it my way, will ya? lol Love the moon shot! 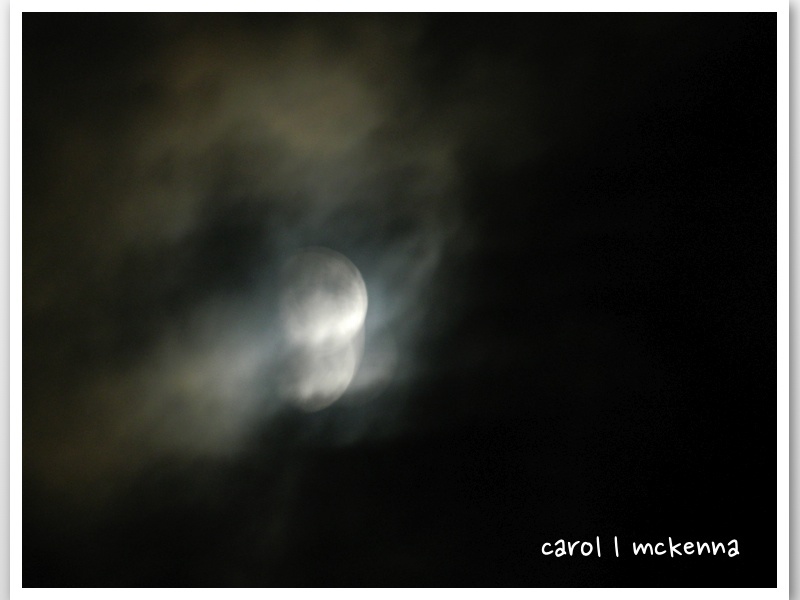 Beautiful capture of your nighttime moon! The quote is so true.I will read it again. "chuckling universe" good line. 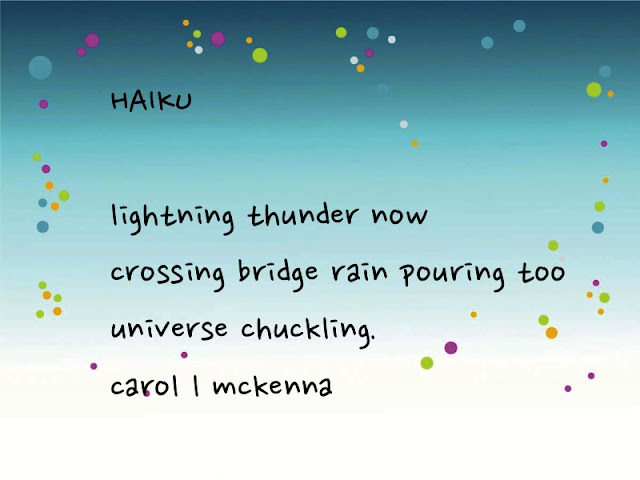 Love the way you have used thunderstorm in this haiku and with those wonderful pictures ... well it could be easiely be a haiga. Thank you for sharing with Carpe Diem. Nighttime moons are always magical. Love that night sky, eerie... and your quote of the day is very nice! Love your night time photo. Beautiful! Oh, now that you posted that kind of moon photo, I am encouraged to post my takes like that too! Who says it is not nice! hahaha, i have some of them too! I also love your moon shot. But shots are pretty. I hope you are having a great week! A great last line. Enjoyed the haiku. I like your quotes! Thanks for your visit!Have a great week. 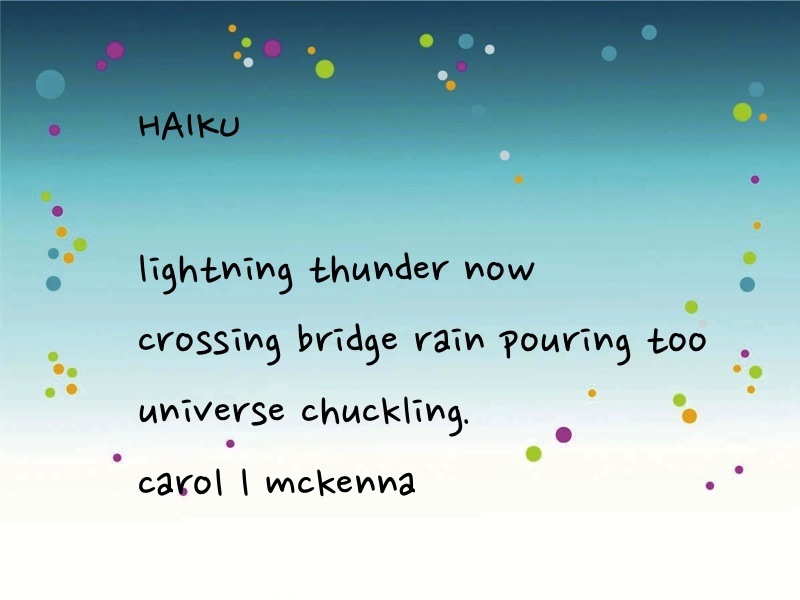 I love the haiku! Hopefully the universe will chuckle in my part of the country today! The night picture is gorgeous ! especially if there is no umbrella, it feels like the universe is chuckling! Ooohhhh! I love the ABC Wed. night time shot! Eerie, but very cool. Nice shots! The one of the moon is really unusual. Like your double moon through the clouds; looking forward to this month's Harvest moon. Wishing more energy comes with it to Cape Ann. How well I know that feeling of life getting in the way and the mind lagging behind. Happens often. Wonderful moon shot. The Lao Tzu quote speaks to me. I need reminders to practice gratitude. Thanks for your visit and comment. I can remember crossing over bridges during thunderstorms - stressful, scary, but adventurous!